Word of this book’s imminence reached NBS Towers soon after the site went live: it’s probably not a coincidence that the new build scene (if it can be called a single, coherent scene… there’s a debate right there) has prompted both a book and a website at around the same time, as it is clearly developing rapidly and invites a collection of information. New Build Steam picked up a copy before Christmas, so offering a review on this blog seems the logical thing to do. The first question to ask, therefore, is how does it compare to this site? It’s immediately clear that it does plenty of things that this site doesn’t, and can’t – a website and a book are not the same thing, after all. On the one hand, a book can’t be regularly updated; on the other hand, Robin Jones is a professional journalist and Steam’s New Dawn is a journalistic endeavour as opposed to a collation of published information like this site. Robin has clearly made contact with all the groups, and the chapters on each project, although only a few hundred words for most of them, goes into a bit more depth than the overview articles on here. It’s undoubtedly a good snapshot of the scene as it stood in the latter half of 2011. The comprehensive nature of the book is particularly notable. Everything mentioned on this site gets a look-in, plus museum replicas, 9351 and the GWR railmotor (prompting an updated ‘About’ section for NBS giving more detail on the website’s scope), broad gauge engines and narrow gauge projects, going back to River Mite on the Ravenglass and Eskdale railway. 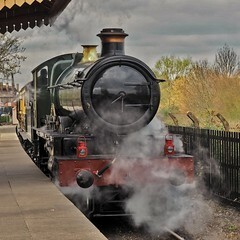 It’s particularly valuable in offering perspective the from end of manufacturing of steam locomotives in the UK through to the present day, emphasising that it is a continuing story, from manufacturing to preservation to new builds, and that none of these chapters is wholly discrete and separate from the others. Spelling out the significance of the restoration of Duke of Gloucester in showing what might be possible is also a very helpful piece of context provided in the book. There are perhaps a couple of slight drawbacks. The proof-reading is not all it might have been, with numerous typos and small errors in evidence. Also the physical quality of the book may be a bit suspect; perhaps it was just New Build Steam’s copy, but a chunk of the pages came loose from the binding almot as soon as it arrived through the post. 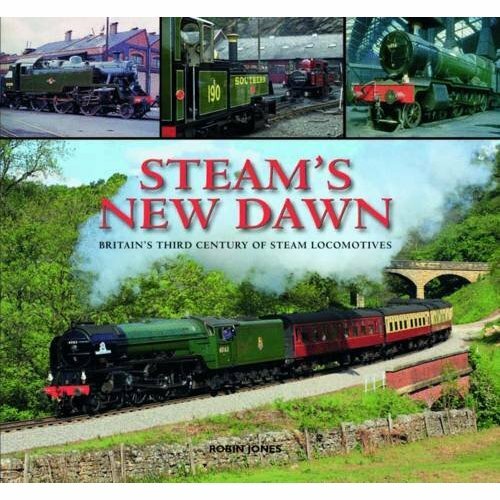 But small niggles aside, this is a comprehensive and very readable account of the new build movement, amply illustrated both with contemporary photos of the latest mechanical developments and with archive shots of the original members of these long-extinct classes. It’s a good investment if you’re looking to spend some Christmas book tokens, or simply prefer your information in a book rather than on a blog. A follow-up volume detailing the successful completion of many of these project would be very welcome in a decade’s time (or, hopefully, less!). I’m afraid not, no. I’d be surprised if you couldn’t turn something up with some persistent googling, though. Do you have contact details for Robin jones?